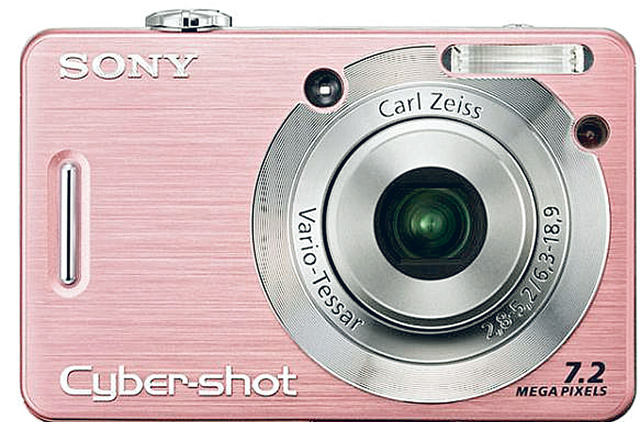 Padukone: Sony Cybershot Digital Camera. "If you travel as much as I do, then try this camera. When you are travelling, you will meet so many interesting people and places — you can capture all of it on this." Dubai: Digital imaging firm Fujifilm says it hopes to increase revenue from digital camera sales in the Middle East to $35 million (Dh128.45 million) this year from $22 million last year, a 59 per cent increase. "We are confident of achieving this target as we are doubling our marketing budget to $6 million this fiscal year in a bid to increase our share in the camera market and enhance our reach in the region," Takeshi Higuchi, board member of Fujifilm Holdings and senior executive vice-president of Fujifilm, told Gulf News. "We invested around $3 million last fiscal. We are going for aggressive marketing initiatives to increase our share and penetration," Higuchi said. He said even though the company derives 40 per cent of its revenue from Fuji Xerox, a venture with Xerox Corp.
"We aim to increase our sales in the camera segment by more than 40 percentage points from 11 per cent last year to 16 per cent market share this year". The cameras division contributes 6 per cent to the group's growth. The company sold around 400,000 cameras across the range from low to high end last year in the Middle East and Africa and aims to sell 770,000 this year. The prices range from Dh299 to Dh5,500. 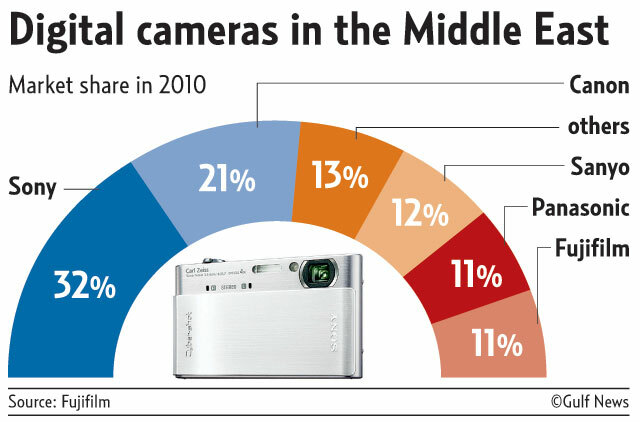 "The regional camera market is poised to grow 10 per cent this year. We will emphasise on marketing, technological innovation and after sales support to achieve the target of boosting our market share," Higuchi said. Asked about the impact of the March 11 earthquake and tsunami in Japan on the company's business, Higuchi said, "There was no impact on our business...Our Sendai [Japan] facility had to shut down for a few days, but we resumed our operations within 15 days." The company will be launching 40 models this year, of which about 27 will be launched by May. He said the digital camera resolution has reached saturation and the next innovation will be on sensors with CMOS technology, which brings advanced imaging features to digital cameras. The technology allows ultra-burst shooting powered by the fast CMOS sensor which shoots the action at 12fps (frames per second) and high speed movies at 320fps at full resolution. "We expect 3D camera sales to increase this year despite a weak response from 3D TVs last year. When the sales of 3D TVs increase then people will buy 3D cameras. "This year more content will be available on 3D televisions and sales are expected to pick up," Higuchi said.